Today our cars are run mostly off of electrical currents and technology, which includes several different control modules. In general, control modules are like little computers that receive input from various sensors throughout the car and make adjustments to the vehicle’s processes in order to optimize functioning. Some BMWs encounter control module failure after a period of time, and cases of ignition control module failure have been especially documented. It’s important to know when your own BMW’s ignition module needs servicing or replacement. In this article we’ll go over how important the ignition module is for your car’s functioning, how to recognize signs of failure, and what you can do to fix it. What does the ignition module do for your BMW? All of your BMW’s control modules are critical for its functioning; however, one control module is especially important, as it dictates whether your car will even start. The ignition control module plays an important role in engine starting as well as engine timing. The ignition control module, also referred to as the electronic spark control module, controls the engine’s timing in order to properly start the car initially, but also to keep the car running optimally, as it compiles information from various sensors to adjust the engine timing according to the car’s needs and environmental conditions such as the driver’s unique driving habits. Engine performance issues such as misfiring are inconvenient and highly concerning for drivers. Usually this is one of the first signs that drivers notice when the ignition control module begins to fail. Your BMW will not be able to start if the ignition control module has failed, and will likely need to be replaced. If your BMW encounters decreased power and/or hesitation upon acceleration, the problem could be related to any number of things; however, an ignition control module will not be able to appropriately adjust your engine’s timing to allow for optimal acceleration, which can lead to acceleration and power issues. If your BMW’s engine isn’t able to run efficiently, one of the first things to go is your good gas mileage. Your engine isn’t able to burn fuel optimally when the ignition control module is encountering issues because the engine timing is usually off; eventually fuel becomes wasted. Along with engine misfiring and loss of power, engine stalling is another performance issue that BMW drivers tend to experience due to ignition control module failure. When the engine timing is inconsistent due to a faulty control module, the ignition and combustion processes are interrupted. Although the ignition control module isn’t really meant to be replaced in your BMWs service plan, it may need to be serviced or updated from time to time. 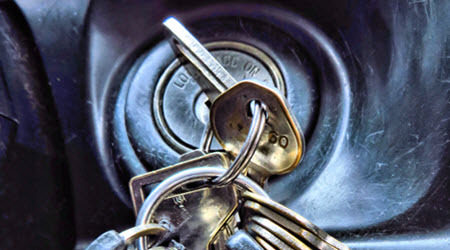 Proper preventive care can help you to avoid ignition control module failure. Enlist the help of a BMW expert. Follow the manufacturer-recommended maintenance schedule. Take note of troubling symptoms and bring them to your specialist for diagnosis right away. Research the common issues that BMWs face and consult with your BMW specialist to anticipate your car’s needs and repair work. If you do encounter ignition control module failure, you will want to bring your BMW to a shop that specializes in German-engineered cars. In order to effectively attend to a failed ignition module in a BMW, it requires expertise, knowledge, and experience working with the specific part in BMW cars alone. The BMW pros here at Tech Plus Automotive have helped to diagnose and treat ignition control module failure in BMW clients from Scottsdale, Phoenix, Paradise Valley, & McCormick Ranch, AZ. Since the symptoms of a failed control module can mimic symptoms of other issues, it is critical to provide a thorough and accurate differential diagnosis to rule-out the other possible causes of the symptoms. If you’d like to schedule a diagnostic appointment with one of our BMW experts, please contact us right away. * BMW E46 image credit goes to: kurmyshov.